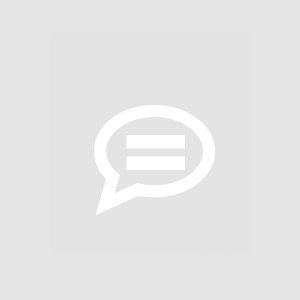 This is a discussion group for mooSocial's Poll plugin. Have ideas, suggestions, questions regarding poll plugin? Please post them here. Will the poll plugin ever be integrated into the "Whats New" box - same for events and groups, etc..... Its pointless having a seperate page where users have to create polls. If integrated into the whats new box then they can quickly do this. The page itself should be for a consolidated view like it is now. Mark Already have plan for adding poll at "whats new" box. GeorgiosT Mark I would like to add a poll to what&apos;s new "on posts, Will we ever have the opportunity to do this, and if so when? Mark it&apos;s in the task list but not high priority because it&apos;s nice to have feature. You member can create a poll a poll section. Jack Mack @mark the whats new box is one of the most important. Why click and load another page. Its a nce to have that all other networks have. Lets begin making moosocial prettier and load with more capabilities. No more plugins. Mark There are a lot of new features (core) we need to focus to add. This is request for plugins so that it&apos;s not at high priority. Mark Just got updates from team, this improvement is added to poll plugin but we don&apos;t have time to test it yet. Mark Can you help me test? If yes, can give you a package that includes this change. You can install at your testing site to test and provide feedback. Is that okay? Mark Eric and GeorgiosT what you need to be done here is adding "Create new poll" icon at Newsfeed right? Mark Will add it to newsfeed first. For other parts like blogs, photos...will consider later. 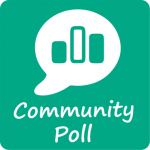 Poll Plugin Version 1.7 is release. Mark We can help us implement this via our custom development service. Contact us if you&apos;re interested. GeorgiosT Is my question difficult? Mark It&apos;s not difficult. it&apos;s a custom request, please contact us if you want to use our custom development service. Polls should be integrated as an option directly into the activity feed to create straight while typing. Mark Tung Vu consider this suggestion for next version.